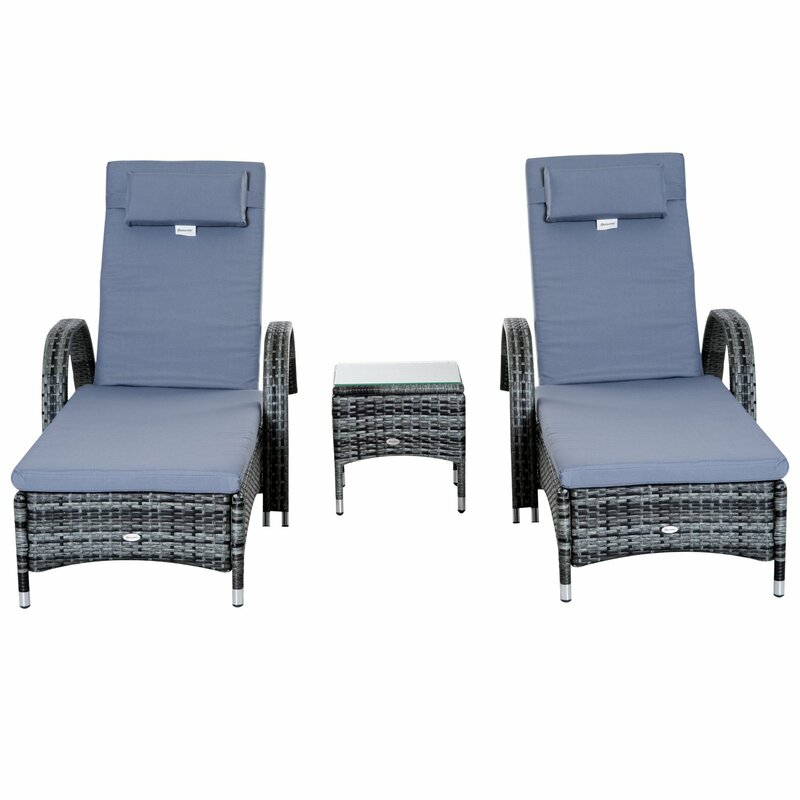 The rattan lounger set from Outsunny comes complete with 2 loungers, side table and cushions. The seat has 5 adjustable positions to give you maximum relaxation and comfort. The side table also has a glass top to keep your drinks within easy reach, and the set can be used indoors and outdoors. The practical wheels at the head make the set easy to move.